A lithium-polymer battery (sometimes LiPo, LIP, Li-poly) is a member of a family of rechargeable battery types in which LiPos work on the principle of intercalation and de-intercalation of lithium ions from a positive electrode material and a negative electrode material, with the liquid electrolyte providing a conductive medium. To prevent the electrodes from touching each other directly, a microporous separator is in between which allows only the ions and not the electrode particles to migrate from one side to the other. 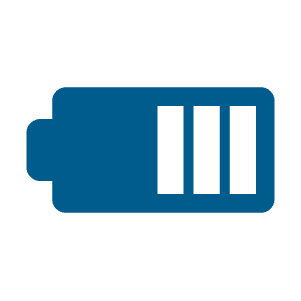 Lithium-polymer batteries can be dangerous under some conditions and can pose a safety hazard since they contain, unlike other rechargeable batteries, a flammable electrolyte and are also kept pressurized. Because of this the testing standards for these batteries are more stringent than those for acid-electrolyte batteries, requiring both a broader range of test conditions and additional battery-specific tests. This is in response to reported accidents and failures. Although iPad Mini battery and motherboard is built in with dual overcharge protection, we always recommend our customers not to keep your iPad charging overnight and disconnect the device once it is fully charged. Lithium-ion batteries have the potential to bulge out when it gets faulty and the most noticeable signs are LCD screen popping out pushing against the device rear shell. If you find any problem with your iPad Mini battery, do not take it lightly under any circumstances. Come to our repair center at your earliest and get it replaced by one of our iPad repair professional. Does not hold charge as it used to. Does not charge or takes too long to charge. Your device is draining fast. Your device switches off while playing games. LCD is bulging of from its original shape. Device is heating up and discharges abnormally. Not switching on at all. We source the best OEM battery replacement, which is high in quality, durable and efficient. Our professional repair technicians will fix the iPad Mini Battery quickly and efficiently within couple of minutes. The old iPad Mini Battery will be replaced with a new one.